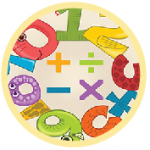 Mixed operations 4th grade quiz online for students to review skills in varied domains of math like order of operations, equations with several operations, addition, subtraction, ratios, multiplication, word problems, division and more. There are several quick facts to check student’s progress in several areas. 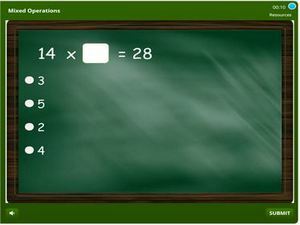 This is also an interactive online math test and students can take it unaided. It makes it an easy to use material which parents and tutors can use both at home and in school. Click to start practicing.